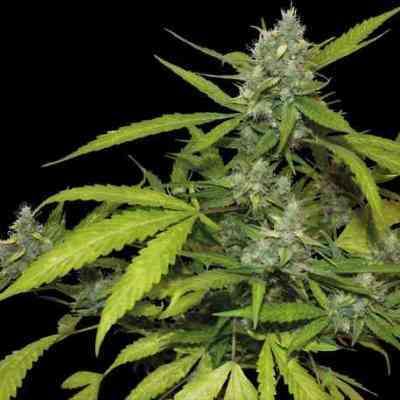 Royal Cookies Automatic is Royal Queen Seeds’ latest red-hot autoflowering offering. By combining the gourmet Royal Cookies with ruderalis genetics, a unique new hybrid was created. Indoors, Royal Cookies Automatic will grow larger than the average auto strain. Heights of 60-120cm are common. These cookies are definitely not snack-size. Royal Cookies Automatic is a perfect fit for SOG growers. If you treat her right in the grow-op, heavy yields up to 450g/m² can be achieved in 8-10 weeks from seed. Outdoors in a hot climate, even during a short summer, amazing crops can be cultivated. The ability to bloom independently of hours of sunlight means you can harvest multiple batches of cookies from spring to autumn. With plants capable of growing up to 140cm tall and producing 130-180g/plant, even beginners can accumulate a fat stash of cookies. 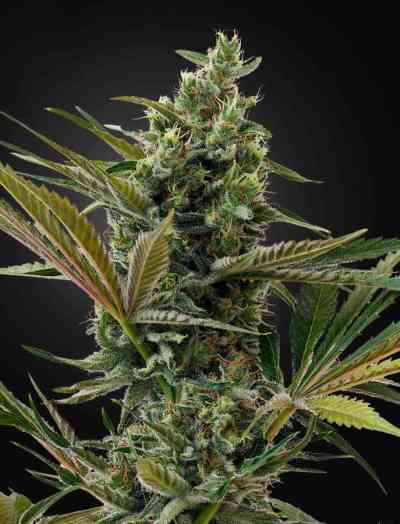 Royal Cookies Automatic is uber-potent and super fast-flowering. Crop up to 18% THC cookie nugs in as little as 8 weeks.